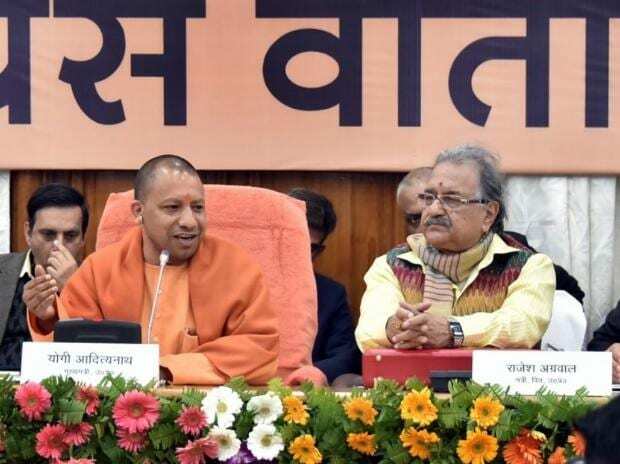 While the overall size of Uttar Pradesh's Annual Budget for 2019-20 has inflated by 12 per cent, the Yogi Adityanath government has almost halved the minorities’ welfare department budget ahead of the general elections this year. The state government has pared the outlay for minorities welfare to Rs 1,401 in Annual Budget 2019-20 tabled in the state legislature yesterday, from a figure of Rs 2,757 crore in the previous year. Interestingly, the government has allocated nearly Rs 600 crore towards the setting up and maintenance of cow shelters in rural and urban areas, with the 2019 Lok Sabha polls just a few months away. In this Budget, the government has made a provision of Rs 942 crore under the Scholarship Scheme for students belonging to the minority communities. Besides, Rs 459 crore has been allocated for the modernisation of the Arabic Persian madarsas operating in the state. During the Yadav regime, the minorities’ welfare department had come under the spotlight after the Samajwadi Party (SP) government had raised the outlay by more than 81 per cent from Rs 1,143 crore in 2011-12 to Rs 2,074 crore in 2012-13. From 2011-12 to 2016-17, the minorities’ welfare department budget logged growth of 167 per cent from a mere Rs 1,143 crore to Rs 3,055 crore. Meanwhile, the state has allocated Rs 600 crore towards a fee reimbursement scheme of the backward class students during the next fiscal. Under the social welfare department, the government has made a provision of Rs 4,433 crore under the Scholarship Scheme for poor students belonging to the different sections. Of this, Rs 2,037 crore has been proposed for SC students, Rs 1,516 crore for backward students, Rs 850 crore for general category students and Rs 30 crore for the ST students. A provision of Rs 2,579 crore has been made under the Old Age and Farmers' Pension Scheme, while a provision of Rs 250 crore under the Mukhya Mantri Samuhik Vivah Yojna for the marriage of daughters belonging to the BPL families from all sections of society.